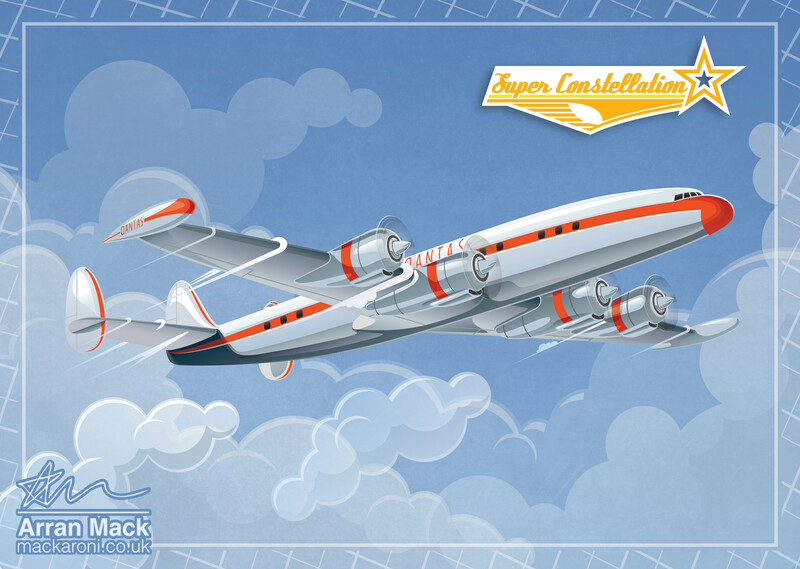 A retro aircraft illustration of the Lockheed Super Constellation. 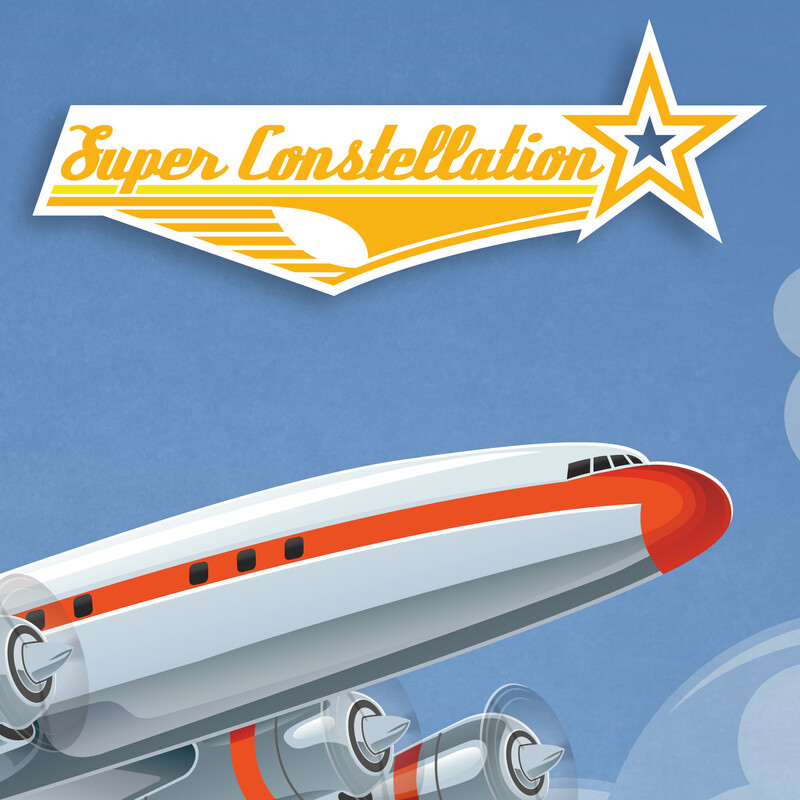 I created the poster artwork as a gift for my cousin, really enjoyed getting stuck in to those reflective chrome curves. 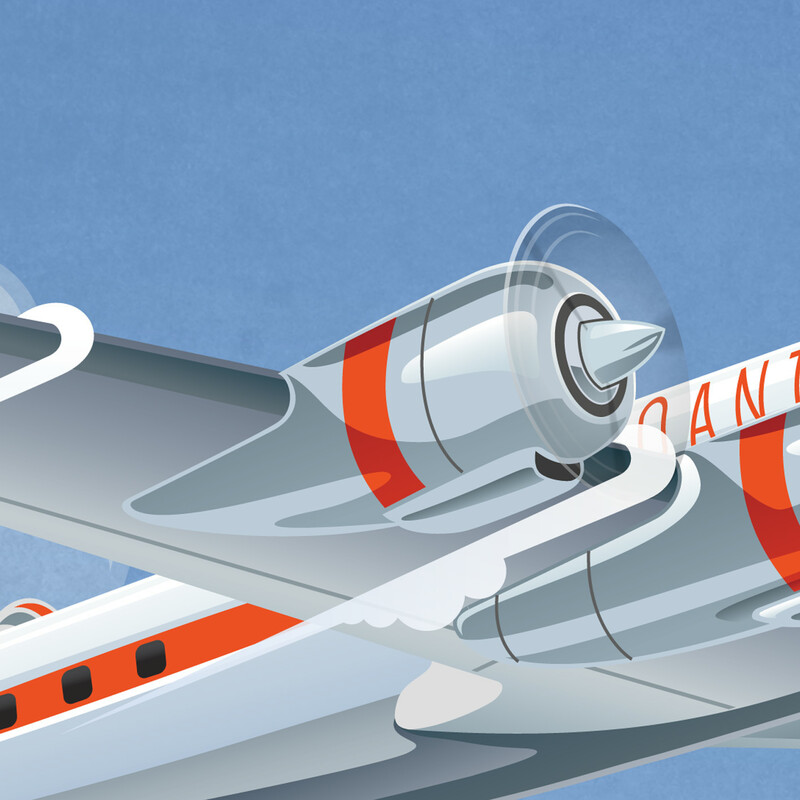 The plane is flying the Qantas colours - my cousin is an Aussie!